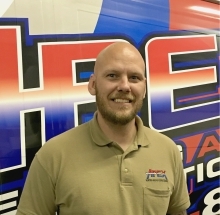 Thanks for visiting our site and allowing me to tell you a little more about Apex Heating and Air Conditioning. My name is Jason Braun, and I’m the proud owner and founder of Apex. I’ve spent my entire career in HVAC, and I learned along the way that the HVAC industry has become far too obsessed with profit, and far too disinterested in people. This calamity led me to start Apex Heating and Air Conditioning. We operate on the same principles today as when we opened 14 years ago — do what’s right, take good care of people, and deliver more than you promised, every time. This unwavering commitment sounds simple, but in our industry, it’s too frequently jettisoned in favor of high-pressure sales and high-margin gimmicks. At Apex, we value the customer for more than just their dollar. We’re working to change the industry, one service call or installation at a time. If our customers only say one thing about us, we want it to be that we care. We’ve come a long way from the day I picked up that first Apex van! We’re proud to be Green Bay’s leader in quality and service, and I’m very proud of the talented people who come to work everyday. They help me realize my dream of a different heating and cooling company. They also help make a difference in the world through our various charitable works, and our involvement with St. Jude Children’s Research Hospital. Henry Ford said, “A business that makes nothing but money is a poor business.” I couldn’t agree more. 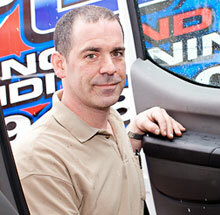 We perform service on all brands of heating and cooling equipment. We install furnaces, air conditioners, boilers, ventilators, filtration systems and more from many of the top brands. We offer 24-hour service every day of the year. I could go on and on about the exceptional work we do, but I’d rather show you. Give us a call. Let us prove to you that we deserve your business. Thanks for taking the time to get to know us better. Remember, whenever you need us, we’ll be there! Purchasing a heating and cooling system is a difficult process. Most people don’t use thermal units on a daily basis, so it can be quite confusing. Apex makes your decision easier by taking on all of the risk. When you invest in a new system with us, you have ONE FULL YEAR after the installation is complete to decide if you like it. If not, we will remove your equipment and refund 100% of your money. Other companies say they’ll stand behind their work, but we put our money where our mouth is. If a quote is too low, you should wonder what you are getting. But when a quote is too high, most people don’t wonder at all. At Apex, we are straight and to the point. You will know exactly what you are paying for and why. If there is any confusion, let us know. We are happy to discuss all the details. We are guests in your home, and we act like it. Our staff will be professional and courteous from the moment we pick up the phone. We will leave your home neat and tidy, and will even wear silly looking plastic boot covers to be sure. We understand that you don’t just hire us to do a job, you are inviting us into your home — your largest investment — and we respect the trust that you place in our company and our technicians. Apex has had the pleasure of serving Green Bay and surrounding communities for more than a decade. We’ve learned a lot in that time and, although we have changed a little, our values have stayed the same: We do the job right, we are reliable and we care. Don’t just take our word for it … see what your neighbors have to say! We invite you to take a look at our testimonial gallery. Our technicians need more than a friendly smile and a tool box to wear an Apex uniform. All Apex techs are NATE certified and receive 60 hours of company-paid training every year. They also average 17 years of experience! That means they won’t be puzzled when it comes to diagnosing your unit, and they are never asked to cut corners. We warranty all of our repairs for a year, so we need to send out the A-Team — every call, every time. Our NATE (North American Technician Excellence) certified technicians are the best in the business! Each candidate must pass a drug test and stringent background check to be accepted to our team. We hire the best, and provide them with 60 hours per year of company-paid training. Jason opened Apex in 2005. 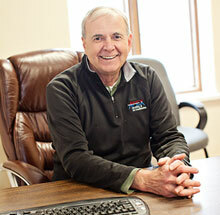 A lot of blood, sweat and sheet metal have gone into growing Apex into what it is today. Troy is Apex’s un-stumpable technician! With 20+ years of experience, he’s seen it all and fixed it all. 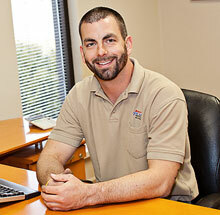 Dan has been in the HVAC industry for quite some time and really knows his stuff. He handles all of our replacement quotes. 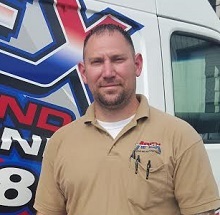 Justin is our resident “Repair Sgt.” After spending many years as an active duty Army sergeant, he joined Apex as a service tech in 2015. Chris is our go-to “tune-up guy.” A true sports enthusiast, Chris also spends his time preparing for his upcoming wedding. Cody is our newest Apex Army veteran. When he’s not installing furnaces, he spends his time with his family and motorcycles. Jan joined Apex in 2005 as a “Jan of all trades.” She focuses on keeping Apex running like a well-oiled machine. Jill is one of the friendly voices you hear on the phone; she is also our internet guru. Jill enjoys camping and spending time with family. Brogan is one of the friendly voices you may hear on the phone. She enjoys spending time with her husband and son.